Why would you use Migration Agents to help with your visa process to Australia? Especially when there is so much information publicly available on the Department of Home Affairs website. Let us tell you why! The best migration agents Brisbane has to offer are ready to take your call! Put simply, there are so many different visa options, it can be difficult to know which is the best one in your circumstance. A Registered Migration Agent has the appropriate education and experience to advise you on the best course of action when considering your short and long-term visa goals. Using a migration agent also takes the hassle out of the process, as the agent lodges all forms and deals with correspondence from the Department of Immigration. The Emergico team comes from many diverse backgrounds with advanced training in a range of fields that help strengthen our understanding and abilities when providing services to clients. That’s what it takes to be the best migration agent Brisbane has to offer. The safety of professional, qualified advice. 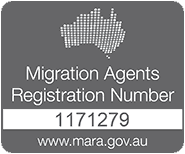 Registered agents are required to be qualified in Australian migration law. The accountability MARA and it’s Code of Conduct. As a consumer, you are protected in a number of ways. Visa approval is safer and easier with a Registered Migration Agent. Properly submitted applications can also be processed quicker. If you do use an Agent, make sure that you use one who is Registered with the Migration Agents Registration Authority (MARA). This provides you with the security of knowing that your agent is of good character, has the appropriate skills and knowledge and abides by the MARA Code of Conduct. The Migration Advice Profession is regulated, in the interests of consumers and professionals. The MARA provides information for consumers about what they should expect from a migration agent. This important information is available in many different languages. The Emergico team! What can we do for you? With many migration agents available, why choose Emergico? Great question. We’re aware that you may be considering which agent to help you with your situation. With so many to choose from, it can be difficult to know who’s best suited to help in your particular circumstance. Our own team has been carefully selected to bring the very best assistance and support available. We take pride in our success rate, and in the relationships we form with those we help. We’d like to highlight some of the things that separate us from the rest. All of our agents are MARA Registered, so you can have confidence in us. Many of our team have first-hand experience of the Australian visa journey, so we know how impactful this process can be for our clients. Our CEO, Leanne Stevens, is also National Vice-President of the Migration Institute of Australia, with an international reputation for helping visa applicants. We're international, with offices in the United Kingdom as well as Melbourne and Brisbane in Australia. We're at work almost around the clock! Our professional fees are competitive, agreed and fixed up-front, and can be paid in stages as you journey through the visa application process. We only offer assistance to those we believe have a legitimate visa pathway. We're not in the business of false hope. There are many good reasons to consider Emergico, but one of the best is that unlike many agents, we’re interested in getting to know your situation and properly establishing whether we can help, before you decide what’s best. Yes we’re a business, but we know that the difference we make to people’s lives is incredibly personal, and we don’t take that for granted. To explore your Australian visa options with our team, click below to start your eligibility assessment, or get in touch visa the contact page on this site.